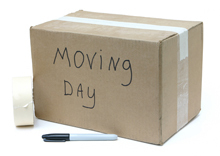 We have over 35 years of experience relating to domestic and commercial removals for customers in and around the Ely area and are considered the foremost specialists in our field. A family run business, you can rest assured when you employ our removals service your items will be in the safest hands. Our rates are more than competitive and we also offer discounts to previous customers moving house or office for a second time. If you should request experienced female packers only, we can also accommodate this for you.